My bucket list shrinks again after this significant purchase. Much audial pleasure awaits and beckons. 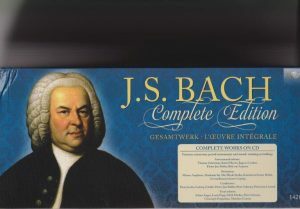 142 CDs of Bach played on original instruments (including all keyboards on harpsichord, not piano, as Bach intended and actually played).